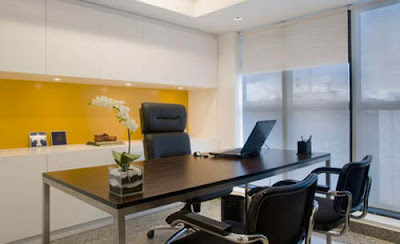 The placement and layout of your desk is critical to the energy flow of your office. A few simple but crucial rules can help you to function more effectively–and less stressfully–at work. In an office layout, it is important to be able to see the door of your office so that you are not “stabbed in the back” with “arrows” or “daggers” of chi. This is one of the more common-sense applications of feng shui. If your back is exposed, and people approach you from behind when you are concentrating, then you may suddenly become “frightened”–which can make you feel ungrounded and disjointed. If your back is facing the door and you can’t move your desk, the cure is a bright object, such as a crystal, small makeup-mirror, or mirror-framed picture. And did you know that your desk has different baguas just like your house or room? This means that, as you face your desk, the far left corner is the prosperity section. This might be a good place for a thriving potted plant, a gold object, or a wind chime.